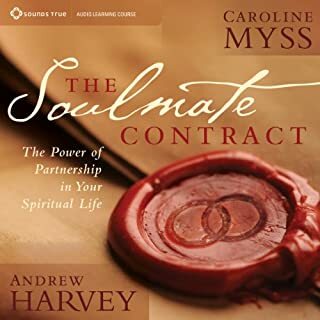 Here is an opportunity to explore part of the healing equation overlooked by conventional medicine - the spirit's unlimited capacity for self-healing and divine connection. 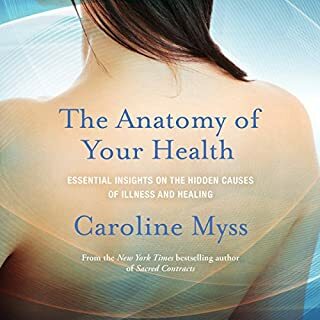 This enlightening recording teaches you to view your health through a spiritual-biological lens to see a new picture of how the human body heals. 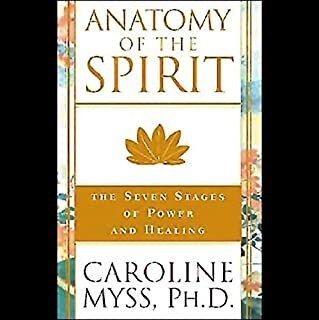 In 12 step-by-step sessions, Dr. Caroline Myss presents every phase of her groundbreaking work on energy medicine, including the "map" of your body's seven energy centers, its relationship to sacred texts and divine power, and principles of intuitive diagnosis. I've already recommended this book to several of my friends. I have a lot of friends who would be open to this approach. What about Caroline Myss’s performance did you like? The presentation was authentic. She knows her stuff and has the courage of her convictions. Too many to mention. A great piece of work to help with self development - self knowledge. I'll be hearing this book again and again. Learned a lot, and think that I'll need to go back from time to time for reinforcement. 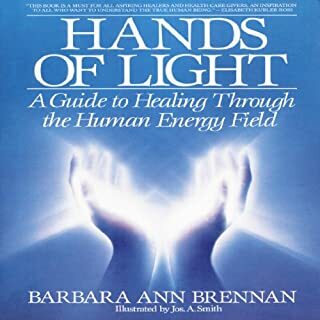 Awesome book - in-depth knowledge of energy system. Awesome book giving in-depth technicalities of energy circuit running through our body and how it affects us . 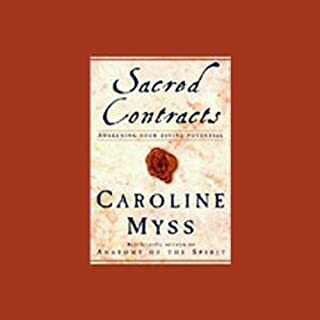 This book takes spirituality to the next level . Very easy to understand . Absolutely loved it! I’m going right back to listen to this again. 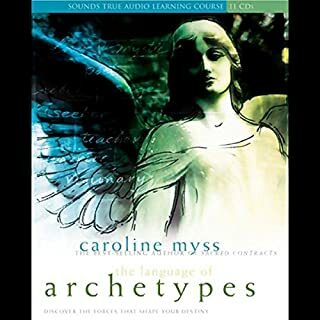 Caroline is amazing, the way she explains the chakras and their function and connected dysfunction whilst aligning it with ancient thought, Buddha, biblical and Kabbalah is really insightful and helpful. Just what I needed to clear out my junk habits and thought process and to get honest and pro active again. Thanks Caroline you are a legend. 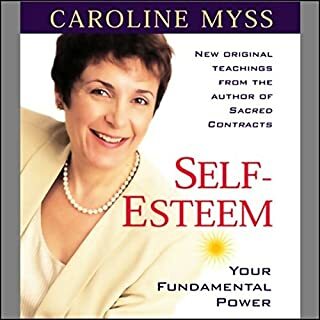 Caroline Myss has so much wisdom in all that she shares. easy listening with great examples. truth and resonance. 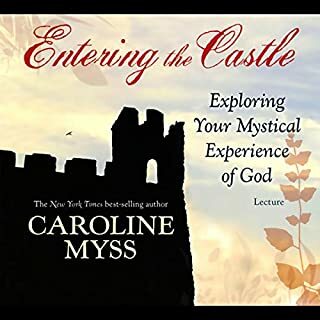 In Advanced Energy Anatomy, she continues and expands the conversation to help us understand how to be "mystics without monasteries". She also describes the 8th and 9th chakras, which are rarely discussed and are consistent with the I AM teachings. 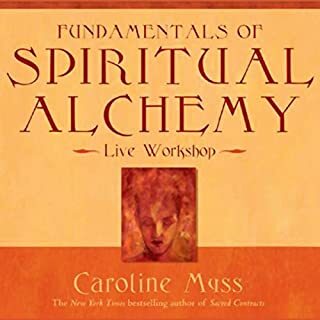 She provides a wonderful transition from our current thinking on religion and spirituality to the traditional works in Hinduism, Buddhism, Judaism and Christianity. Her comments are supported by the work of the scholars who are working on the Nag Hamadi, Dead Sea Scrolls and other lost gospels. She provides broader context for many religious traditions and her interpretations make sense. 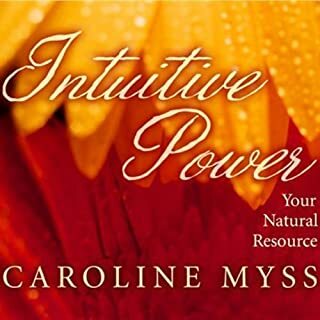 She has a PhD in Theology from which she draws much of her content, and also integrates her personal experience and stories of others she has worked with as a medical intuitive. I love Caroline Myss's up front, no nonsense way of delivering amazing and insightful information... This will not disappoint - it is fabulous stuff - Five stars! I've found this book to be soothing at its best. 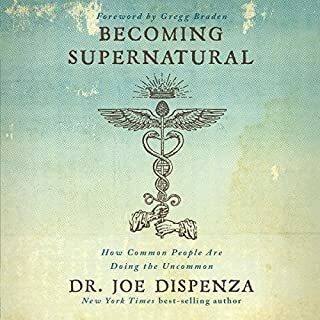 I enjoyed majority of this book but I am completely frustrated that in the 4th and last chapter I noticed large amounts of garbled talking and skipping. What a waste of a credit. There is an advanced copy of this book just a heads up that one is probably better. What did you love best about Energy Anatomy? Dr Myss has managed to explain the meaning and power of each chakras in a very unbaised way. The link and comparison between chakras and other religious emblematic beliefs. I cannot state enough, how much gratitude I have for Caroline's wisdom! I have had this series since it was first released and I always come back to it again and again! I cannot even begin to count how many miracles I have experienced in my life following her teachings! This series is truly a life altering experience. ENJOY! Fantastic explanation of the Chakra System. I?? ?m fascinated by the concept of Chakras and energy fields. I searched for an audio book on ???Chakras??? several months ago but came up with nothing. The description of this book doesn?? ?t use the word ???Chakra?? ?, but that?? ?s exactly what it?? ?s about. It?? ?s a very detailed analysis of this energy system (spending about 45 minutes on each one). If you like this book, I would also recommend the hardcover book, ?? ?Infinite Mind: Science of Human Vibrations of Consciousness??? by Valerie V. Hunt. Hopefully this review will now be included in the search criteria for this book so that others looking for info on this subject can find it. Wow. This answered many questions about several areas of spirituality, gives us something to think about and encourages personal exploration. Take what is for you and leave what you do not need. Highly recommended. Unbelievable. There are no words. Highly recommend to any and all seekers of the truth. 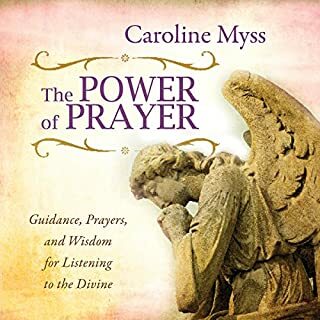 Caroline Myss is an angel sent from Heaven to teach us what's really going on...do not miss this one! This is fascinating material, and listening to this could change how you look at and deal with life. Once I started listening, I did not want to stop. I will definitely be re-listening to this over the years. 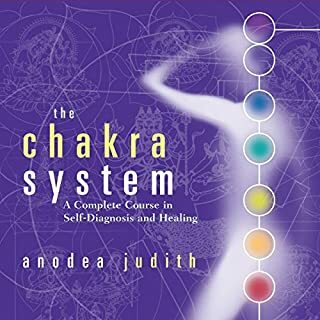 I got so much information from this about Chakras, healing, biography becoming biology, that I think I got overwhelmed, so I'm listening to it again! 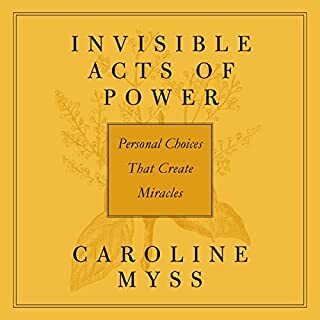 An almost comprehensive guide to the work of Caroline Myss, encompassing her thoughts on nearly every aspect of her work (although it does go over many things she covers in other books). 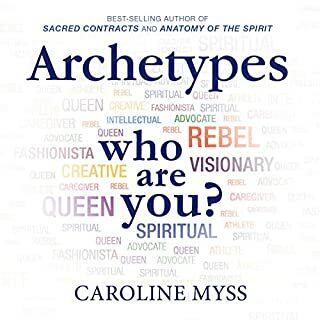 Including her thoughts on chakras, energy healings and the archetypal ideas that she has. Also covering, keeping your mind and energy in present time and how important this is, her thoughts on the dark night of the soul, with a look at different illnesses and depression too. 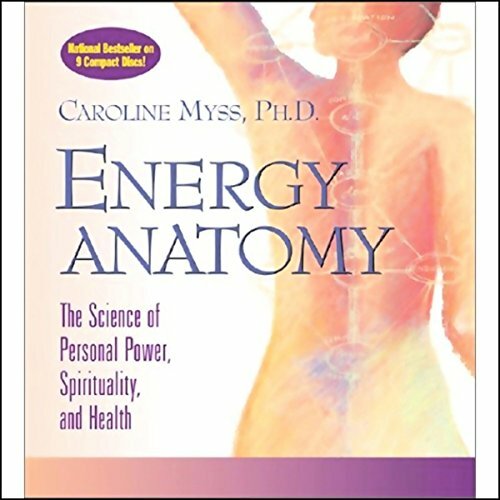 Energy Anatomy takes a look at empowering the human spirit within each of us, to get a glimpse into the divine workings of life and more specifically how to use this in your own life. 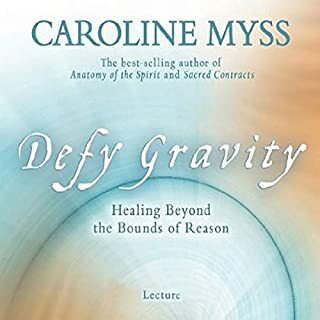 The teaching of Caroline Myss is inspirational. After much deliberation about buying this book I am so glad I did. Its one of those titles that will bring me back time after time. Gives great understanding to the healing processes of modern day life and how the body is not just the 'meat suit' we all walk around in! The connection between mind body and spirit is so profoundly undertaken and shows a deep and very real understanding of it. Delivered live to an audience and yet its so clear and easily followed. Certainly made much of the work I do as an holistic practitioner make an awful lot of sense. If You, like me are attuned to energy and matters beyond mortality you too will certainly not regret the purchase. I Loved it! Go on, Buy it! Very interesting presentation of the chakra system linking other belief systems (Judaism, Christianity, Buddhism...). As a yoga teacher I thoroughly enjoyed it. Need to listen to it again soon. What was one of the most memorable moments of Energy Anatomy? Love her voice, she is very clear and explains her ideas. An amazing audiobook. I have been inspired and immersed in the energy system that for me was hard to understand. 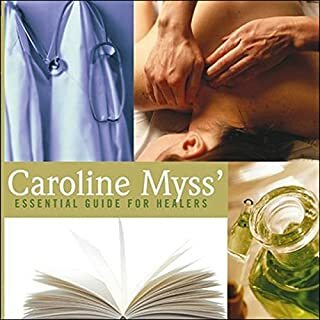 Caroline Myss made it easy to understand the chakras which I was not comfortable with. I see now the importance and impact that it has on our life now. It changed my perspectives therefore my life. Thank you. 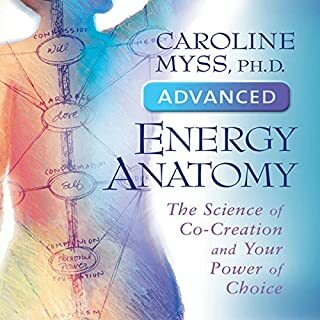 Caroline Myss gives great perspective to energy, healing, chakras and intuition. I really felt like I was in her class! Humorous and engaging, I was gripped and even found myself making notes! Must read. So glad I did. Love love loved Caroline's explanation of our energetic biology. Her passion, wisdom and wit kept my attention throughout. I really enjoyed her straight talking style and nearly spat my tea out at one point when her rant made me gasp then laugh out loud. I loved her honesty about her own journey as much as her direct approach to others. Thank you for sharing your intuitive insights about how we can all harness our precious life force energy and for shining your light out into our crazy beautiful world. Namaste gutsy earth angel. Loved this audio book. Totally recommend. She talks with insight and humour. Have another of her books ready to listen to.